In honor of Mother Theresa’s recent canonization, the Diocese of Camden remembered her with a Day of Service on September 10, 2016. St. Teresa of Calcutta was known to have urged people not to travel to distant lands, but to “find your own Calcutta at home”. 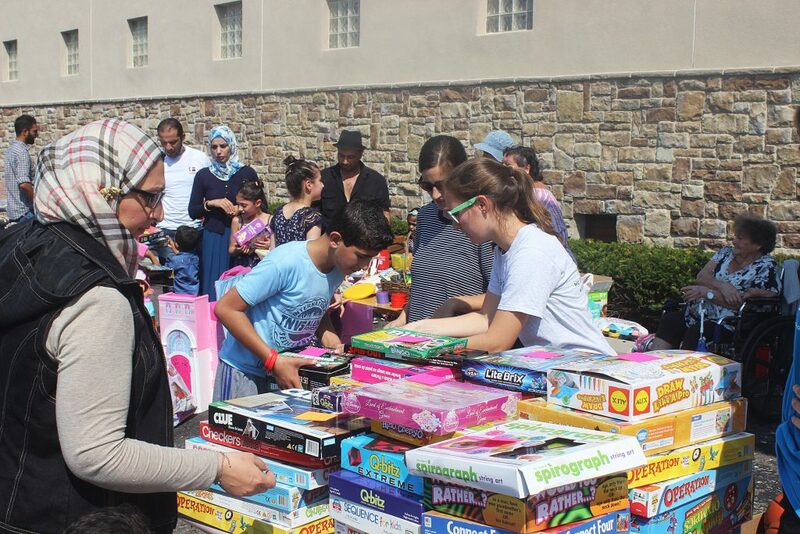 This was precisely the aim of the day, as parishioners across the Camden Diocese participated in a community Day of Service in both Atlantic City and Camden. In Camden, the day began with a morning Mass celebrated by Bishop Dennis Sullivan at Collingswood’s Saint Teresa of Calcutta Church. 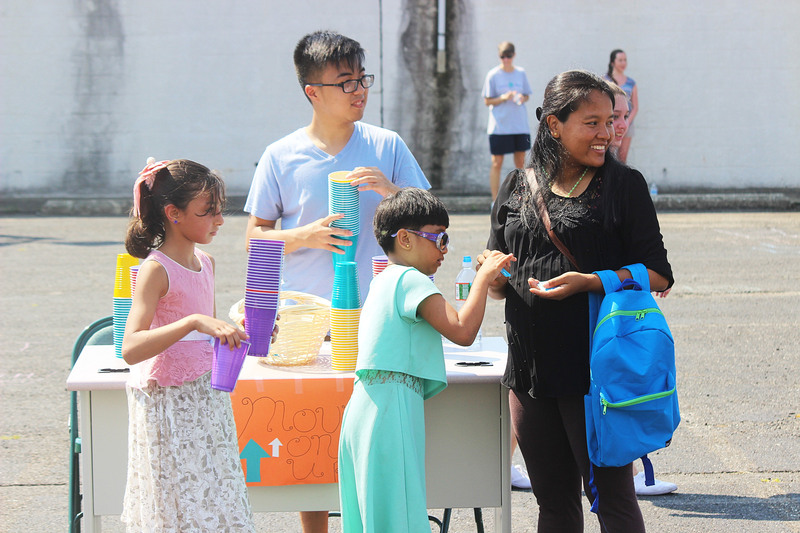 Following the Mass, Catholic Charities on Haddon Avenue opened its facilities to host dozens of refugee families, turning the parking lot – normally packed with cars – into a carnival filled with games, face painting, pets, food, prizes, and dozens of eager volunteers. 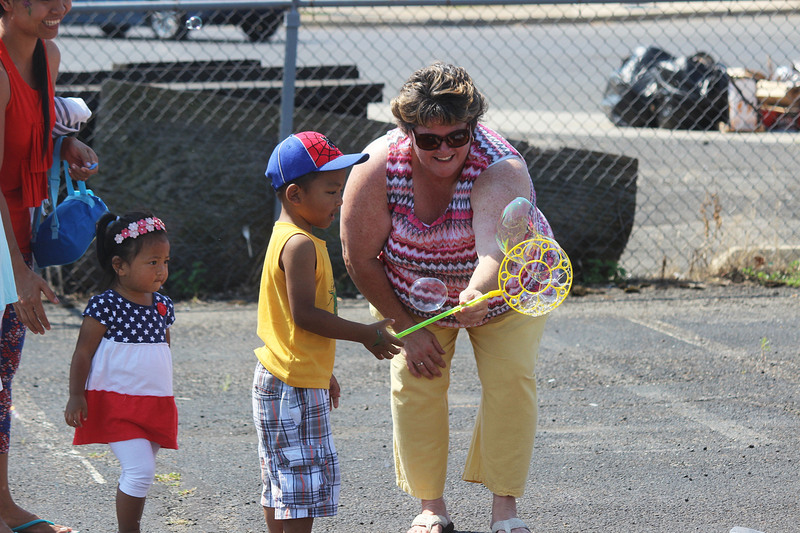 Despite the heat, the parking lot was full of energy and laughter, as children and their parents delighted in petting a bearded iguana and other exotic animals, toppling pyramids of plastic cups with bean bags, and making bubbles the size of boulders. The children, many of whom have come from areas of great upheaval like Syria and Burma, were shy at first. But their faces lit up as they quickly learned that the more games they played, the more tickets they could win, and therefore, the more prizes they could “buy” with those tickets. 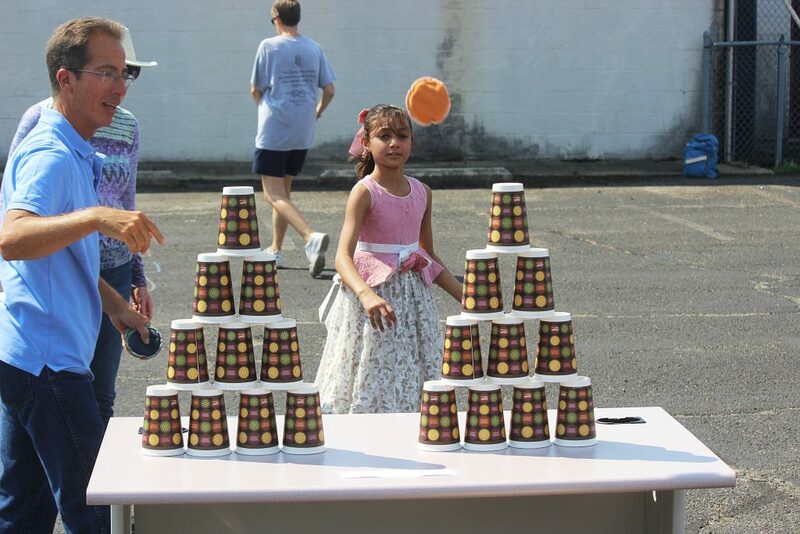 “There’s really no better feeling than watching children at play,” remarked one enthused volunteer as she helped re-stack a heap of cups for the next anxiously waiting game contender. “To me, this is what it means to ‘welcome the stranger’”, she added. “I am so grateful to Catholic Charities for giving me this opportunity to interact with these beautiful families in such a meaningful yet fun way,” noted another volunteer. 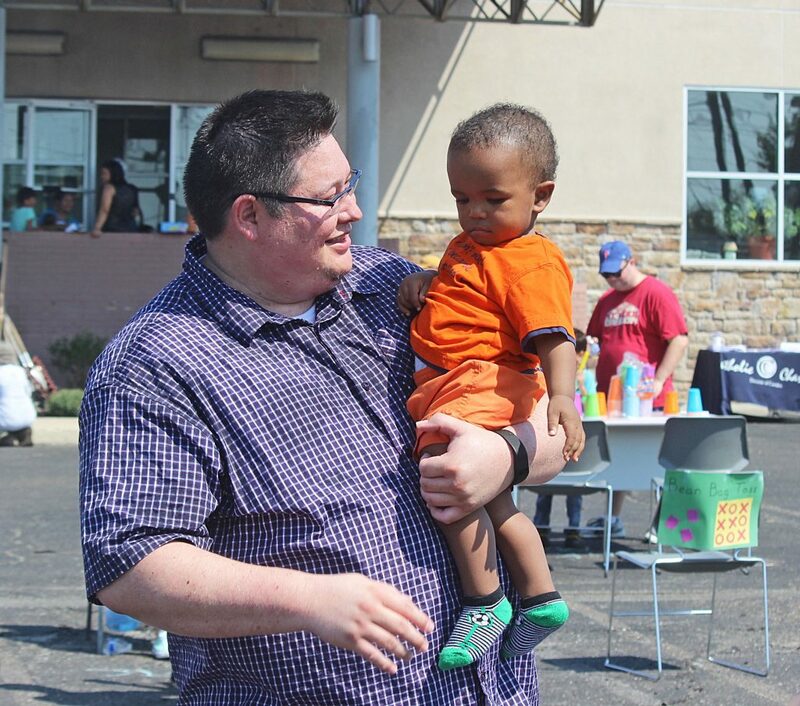 While most of the volunteers at the Camden location spent their time playing games with the children and serving up food donated by businesses across the region, other volunteers braved the 90 degree heat to plant mums and shrubs, and to pick up trash around the property in order to make the Catholic Charities office in Camden a more welcoming center for clients. 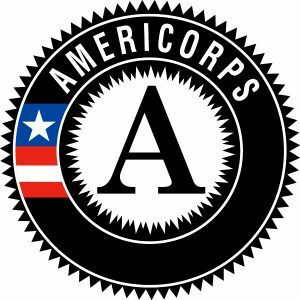 Catholic Charities extends its sincere thanks to all those who participated in this Day of Service, both in Camden and Atlantic City. St. Teresa must be smiling!